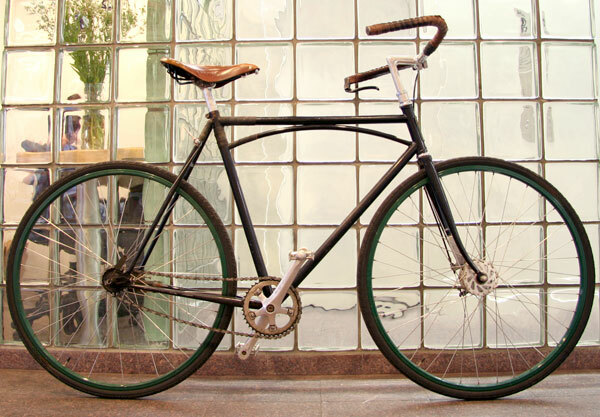 Partner Keith Helmetag was proud to see that the Bespoke: The Handbuilt Bicycle exhibit at the Museum of Art & Design features two of Mike Flanigan's A.N.T. hand-crafted commuter bicycles. Keith commutes daily from Carroll Gardens to our studio on an A.N.T. with the same Major Taylor -inspired truss frame featured in MAD's current exhibit. And there is one piece of design innovation we can call our own: Keith collaborated with Mike to add a historic under-the-seat shifter (look above the rear wheel).